The number of preliminary events was expanded from 27 to 35 in 2002 at the World Series of Poker, and one player won three of them. 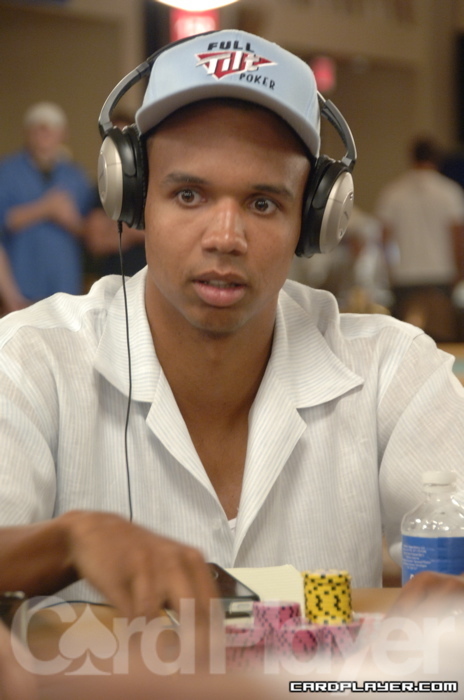 Phil Ivey entered six events, cashed in five of them, and won three bracelets ($1,500 seven-card stud -- $2,500 seven card stud eight-or-better -- $2,000 S.H.O.E.). Other highlights included Jennifer Harman winning another bracelet in an open buy-in event ($5,000 limit hold’em), and Layne Flack picking up two bracelets that year as well ($2,000 no-limit hold’em -- $1,500 no-limit hold’em). The main event grew to 631 players. The first day was brutal to the field that year, as 283 players were knocked out during a fast, first day. Ivey played strong in the main event as well in 2002, and he was near the top of the leader board during much of the tournament. He made it past the money bubble despite a set he held running into a four-of-a-kind held by John Shipley on day 3. On his final hand he had his opponent dominated with A-Q over A-3, but his opponent sucked out to win and Ivey’s impressive performance in not only the main event, but the entire 2002 WSOP was over. The three bracelets he won in the same year in addition to the 23rd-place finish in the main event may never be replicated ever again. Shipley came into the final table with the chip lead, holding 2 million and his next closest competitor was Russell Rosenblum who held 1 million. These two were joined by Minh Ly, Tony D, Harley Hall, Scott Gray, Ralph Perry, and Julian Gardner, and Robert Varkonyi to round out the final nine. Ly and Tony were the first two to fall at the final table that year, and then one player fell the furthest distance possible. Shipley had already allowed Varkonyi to double up through him once before he reraised Varkonyi’s initial raise of 60,000 to 150,000 preflop. Varkonyi then moved all in for his last 759,000. Shipley went into the tank for a while, but he eventually made the call. Shipley showed A-J, and just as he had the first time he doubled courtesy of Shipley, Varkonyi turned over two jacks. The board was dealt 7-3-3-J-A and Shipley was knocked down to his last 370,000. He was all in a few hands later against none other than Varkonyi. He pushed his final 250,000 in on top of a 100,000 raise from Varkonyi preflop holding pocket sevens. Varkonyi held A-10 and he paired the ace on the turn. Shipley was out in seventh place and he simply looked dazed and confused. Gardner then reraised all in against Rosenblum, who had been caught with his hand in the cookie jar, but he decided to make the call and turned up J 6 . The flop was dealt J 8 4 . Rosenblum picked up quite a few outs on the flop but they failed to come, and his stack was knocked down to 95,000 as he doubled up Gardner. Rosenblum was all in on the next hand with A-8 but he was dominated by Gray, who held A-K, and Rosenblum was knocked out of the tournament in sixth place. Gardner knocked out Hall in fifth place and then Varkonyi made a close call that he might not have otherwise without a mountain of chips in front of him (he held half of the chips in play at that point). Gray moved all in after Varkonyi had opened the pot for 100,000, and Varkonyi decided to call him down with Q-10. Gray held A-9 and the flop rolled out two queens to roll Gray out of the tournament in fourth place. Varkonyi struck again when Gardner opened a pot for 100,000 and Perry reraised to 300,000. Varkonyi crashed the party by moving all in for 4 million and Gardner reluctantly got out of the way. Perry made the call for his tournament life and turned up pocket jacks. Varkonyi held aces in the hole and they held up to eliminate Perry in third place. Gardner revealed why he had reluctantly folded after the hand, showing everyone pocket 10s. The heads-up match started as a lopsided affair, with Varkonyi holding 5.2 million to the 1.2 million of Gardner. Fifteen hands in Varkonyi raised to 80,000 and Gardner made the call. The flop fell Q 4 4 and Gardner checked. Varkonyi bet 50,000 and Gardner moved all in. Varkonyi made the call and they turned up their hands. Varkonyi held his favorite hand Q-10, while Gardner showed down J 8 . He would need to improve to survive, but the 10 on the turn, and 10 on the river gave Varkonyi a full house and the world championship. Varkonyi had won the tournament with the same hand he had eliminated Phil Hellmuth with a few days ago, after which, Hellmuth had bitterly declared that he would shave his head if Varkonyi won the main event that year. Hellmuth now had to eat his words as Varkonyi took the first turn of a few players that shaved The Poker Brat's head completely bald.